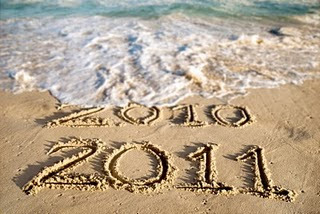 In a few hours, we will all bid our farewell to 2010. But before welcoming 2011, I'd like to recall some events that made my 2010. 1. Death of my last grandmother - My 2010 started with a loss. My Lola Florentina peacefully joined our creator last January 9, 2010. 2. Paper Accepted to an International Presentation - I was not happy with my career. God perhaps wanted to awaken me. In the middle of the year, my paper was accepted for presentation to an international research conference. I suddenly went back in pace. I was happy and enthusiastic about my career and my entire life. 3. New job! - I did not leave my workplace but I was given a new job assignment. I was transferred to another office with a new work and job title. This is perhaps God's way of breaking my monotonous life and career. He placed me to a new venture to divert my attention to something else. The research presentation and the new job gave me like a renewed life. I was really back in track. 3. International Conference did not push through - This is something I resented. Tears made my week when I learned that my research presentation will not push through. Unfortunately, the hostage taking incident in the Philippines discouraged the Taiwanese organizers to pursue the conference. 4. Threat of job loss? - I can feel this now but I prefer not to discuss its specific details. Just when you thought that life would be almost perfect, some s@#$! and a@#$%^&** are definitely there to ruin everything. If God could hear me, you know my sentiments... Please don't place me in the end of the cliff again. 5. Money lost - I lost a significant amount of my hard earned 13th month pay from a ruthless criminal. I don't want to further relate the details. But if I have one thing to thank for, my family remained unharmed. 6. Shopaholic attack! - I made excessive shopping and spending this year. I, for some reason, find shopping as my frustration outlet. With those frustrations I had in the past months, shopping has been my constant companion. My 2010 was a year full of trials. I know there will be a lot more in 2011. My only wish is that I will have enough strength and courage to face them. 2. Job Security - Please God!